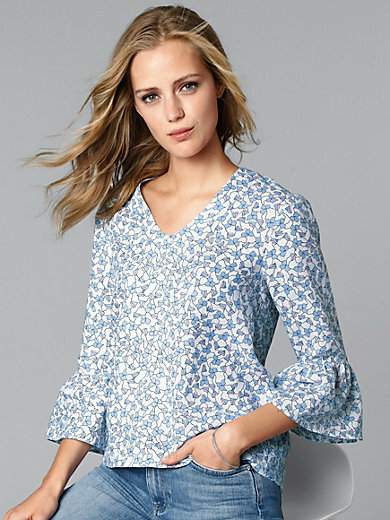 Blouse by GANT with 3/4-length sleeves. Airy and light – ideal for glorious summer days! Trendy, slightly wider style with trumpet sleeves and a slightly shorter front. 100% ramie. Length approx. 64cm/26ins. The blouse is machine washable.